View fall colours like you have never seen them before! 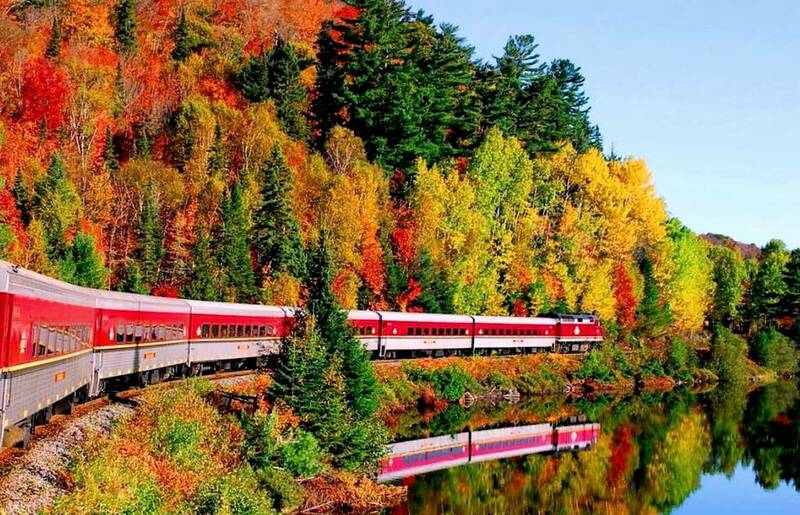 ​For decades the Agawa Canyon Tour has been a favourite way to experience some of the most spectacular fall colours in North America. Algoma Country, as the area is known, is ablaze with colour during the last two weeks of September and first two weeks of October. And if you are a fan of the Canadian artists known as the Group Of Seven, you will recognize many of the their iconic paintings in the scenery along the train route. Two nights hotel accommodations in Sault Ste Marie. Agawa Canyon Tour Train Ticket. Photo opportunity at Big Nickel, Sudbury. Optional evening trip to OLG Casino. Complimentary bottled water and snacks throughout the tour. Escorted tour with ShortTrips.ca tour director available during tour. All prices are per person, in Canadian dollars. HST is extra. ​Children 10+ are welcome on this, same price as adults. Deposit of $49 required to reserve your seat. Deposit is non-refundable once seat has been reserved. Full payment of balance is due as shown in the schedule above. Full payment is non-refundable once paid. Your seat is fully transferable to anyone else of your choice at any time without penalty. There is no charge for name changes or transfers. The train departs from Sault Ste. Marie train terminal at 8 AM and returns at approximately 5:30 PM. This one-day wilderness excursion will transport you 183 km. north of Sault Ste. Marie, over towering trestles, alongside pristine lakes and rivers and through awesome granite rock formations and vast forests. All of the coaches have been recently refurbished and installed with extra large windows so we will truly get to appreciate the beauty of the region and experience the same rugged landscapes that inspired the Group of Seven to create some of Canada’s most notable landscape art. 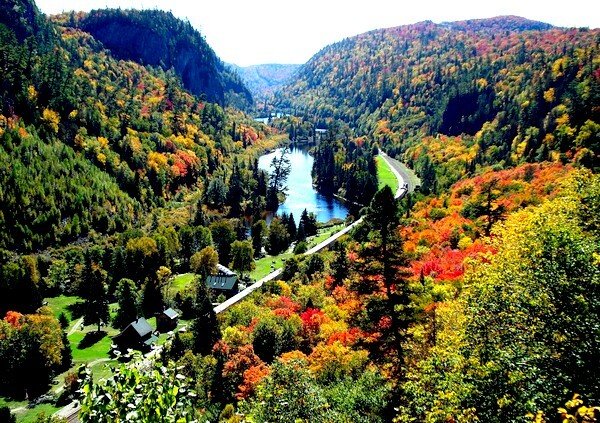 As the train pulls to a stop at Agawa Canyon park, you will have one and a half hours to experience the pristine beauty of the canyon up close. Enjoy scenic walks on trails leading to several waterfalls or experience an invigorating climb up over 300 stairs to the breathtaking lookout, perched 250 feet above the canyon floor. For those who are looking for something a little more relaxing, you can enjoy a peaceful break in the many picnic areas located throughout the park or just pull up a bench and watch the Agawa River slowly flow peacefully by. You will have breakfast in the dining car on the train as it rolls towards the canyon. A boxed picnic lunch is also included that you can eat either when we stop in the canyon or on the train on the return journey back to Sault Ste. Marie. 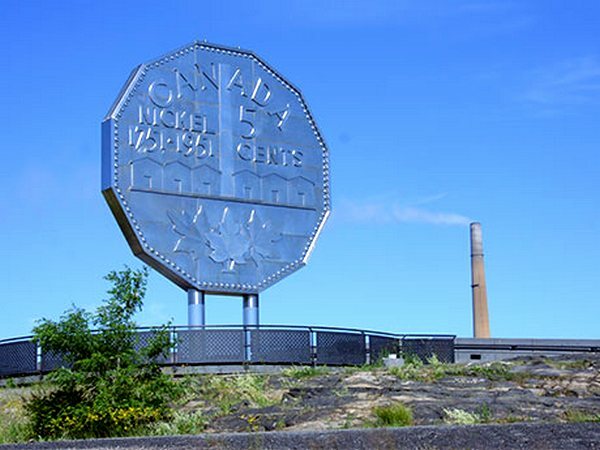 The Big Nickel as it's known is a nine-metre (30 ft) replica of a 1951 Canadian nickel, located at the grounds of Dynamic Earth in Sudbury. We will be stopping here for a short break and a photo opportunity at the base of the coin.